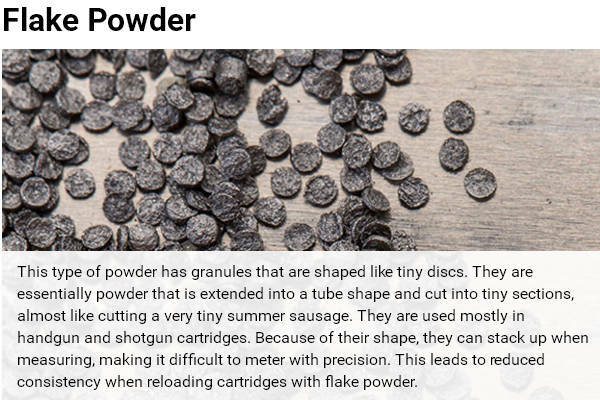 Widener’s Reloading & Shooting Supply recently published a helpful introduction to reloading powders. 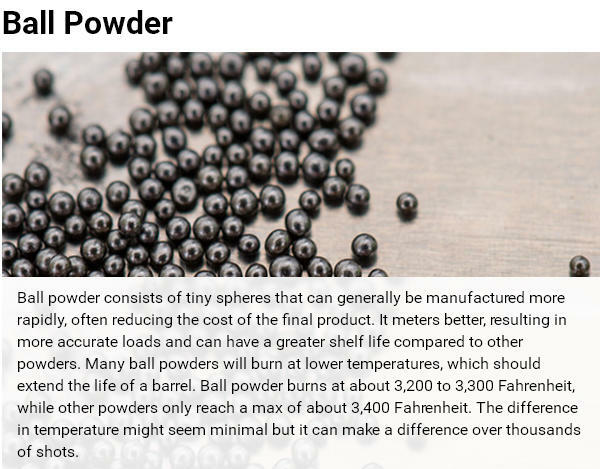 Widener’s online Guide to Smokeless Powders shows the various types of powders, and explains how the differences in powder kernel/flake size and shape, and burn rate affect performance. We recommend you visit Widener’s website and read the Powder Guide in full. 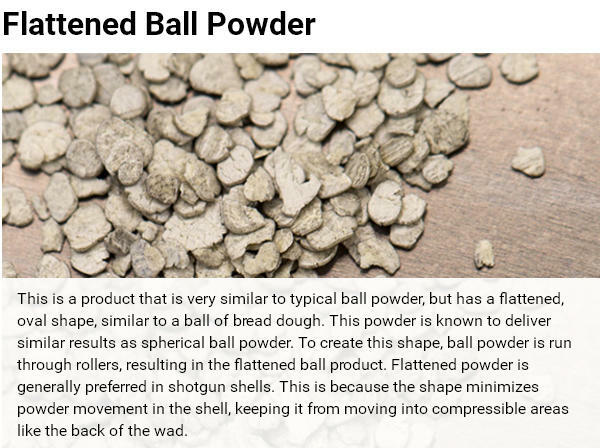 Take a close look at these illustrations which show the key differences between the four main powder types: extruded (stick) powder, ball (spherical) powder, flattened ball powder, and flake powder. 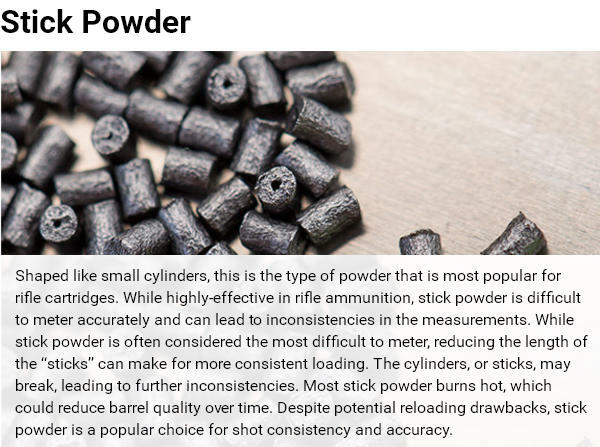 Widener’s Guide to Smokeless Powders also has a useful discussion of Burn Rate (a confusing topic for many hand-loaders). 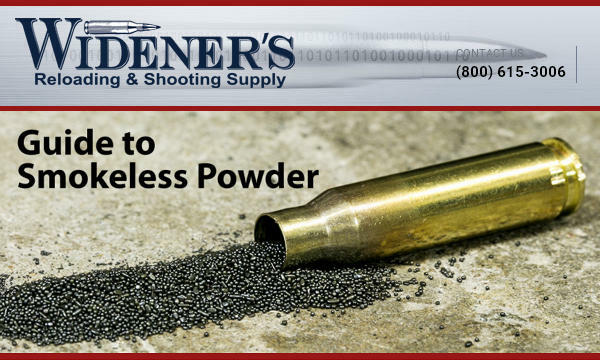 Wideners explains: “While a gun powder explosion in the cartridge seems instantaneous, if you slow it down you will actually find that each powder has a different ‘burn rate’, or speed at which it ignites.” This video shows powders with two very different burn rates. Watch closely. Share the post "Widener’s Guide to Smokeless Powders"
“It is with heavy hearts that we announce the passing of Mike Dillon. Mike left us on the morning of November 7th, 2016. He leaves behind a large family including wife Carol, sons Stephen and Christopher, daughter Stephanie, and 9 grandchildren. Mike’s legacy has touched the lives of countless people worldwide. He revolutionized the ammunition reloading industry and made it what it is today. Mike also redesigned and manufactured the M134 Minigun that is now in service in the United States and foreign military forces. As a passionate aviator, he worked for TWA as a Second officer for 13 years and later made a name for himself as a writer for Air Progress Magazine. He is recognized by some as being the one who started the warbird restoration movement in the 1960s. Mike’s dedication to his family, his customers, and this country was exemplary. We hope to continue the legacy that Mike Dillon worked so hard to build and we will never forget the impact that he has had on us all. 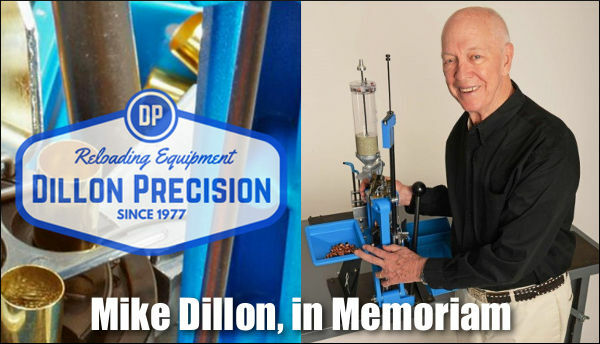 During the coming months Dillon Precision will publish many of Mike’s articles, videos, and photographs on the Dillon Precision Facebook Page. One of the first items released was the classic Machine Gun Magic video, showcasing the M134 Mini-Gun Mike Dillon invented. Share the post "In Memoriam: Mike Dillon, Founder of Dillon Precision"
1) What’s the max range that the shooter/rifle is capable of hitting the intended target? 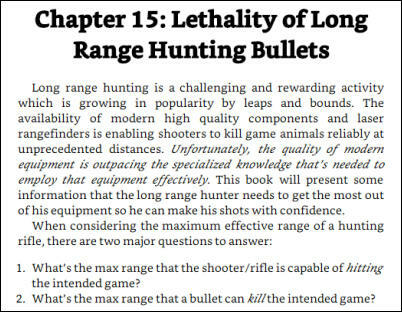 2) What’s the max range that a bullet can kill the intended game? 3) How do bullets kill? 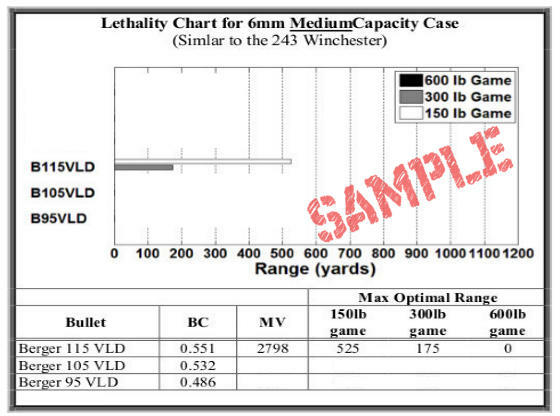 4) Effects of Muzzle Velocity on Lethality. (Your MV may be lower in winter with temp-sensitive powders). 5) Long Range Lethality and the Ballistic Coefficient. 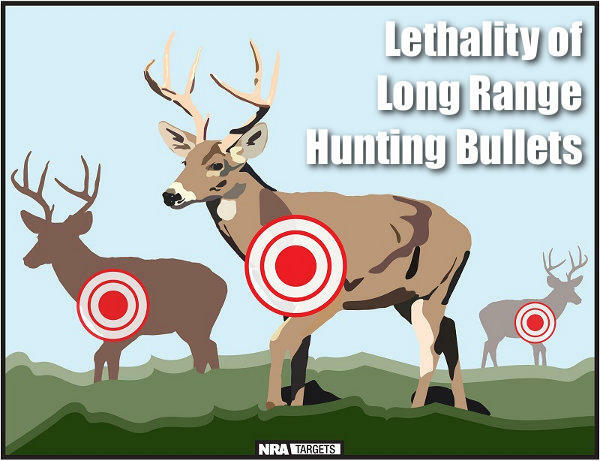 Share the post "Lethality of Long Range Hunting Bullets"